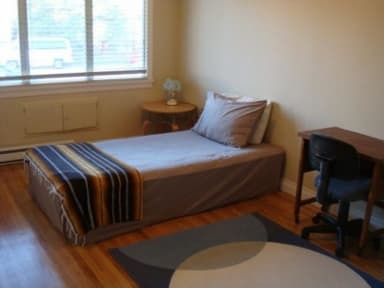 Vancouver Backpacker House, Vancouver, Kanada : Rezerwuj teraz! Vancouver Backpacker House is 14 min. away from Downtown Vancouver by skytrain. We are also closed to the biggest shopping mall (Metrotown shopping mall) in Vancouver in a 10 min. walk distance. VBH is 14 min to downtown by skytrain. 10 min walking distance to the largest shopping mall 'Metrotown shopping mall' in BC. British Colombia Institute Technology, Library, community center, Metrotown skytrain, Royal oak skytrain, restaurants, grocery stores, coffee shops are closed by. Bookings of 2 or more persons made in dormitory rooms are not guaranteed to be in the same room at the time of check in. No group booking over 6 people. Please note that we do not accept Children under 14 year old. ***'If you are looking for work in exchange for free accommodation (minimum one month), please contact us for more information. Everything was fine except that my small single "room" had no external window, just an internal one into the common room of the house. This meant quite a lot of noise all the night long, as I could hear everyone passing or talking in the common space, and not enough fresh air. Both of these factors made sleeping a bit tough. Besides a nice place and friendly staff. Maybe other rooms are better?